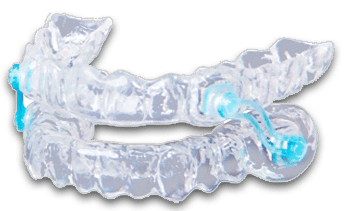 At Princeton Park Dental Associates, we are able to fabricate a custom-made dental device to be worn at night that moves the lower jaw forward and helps open the airway to stop the snoring and give you a more restful sleep. For most people, snoring has no serious medical consequences other than keeping their partners awake at night as well as themselves. In an estimated 9 percent of men and 4 percent of women, habitual snoring is the first indication of a potentially life-threatening disorder called obstructive sleep apnea (OSA).